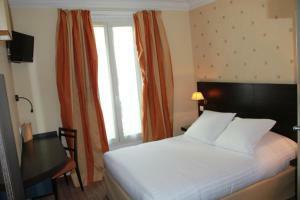 The air-conditioned guest rooms are equipped with a flat-screen TV with cable channels. 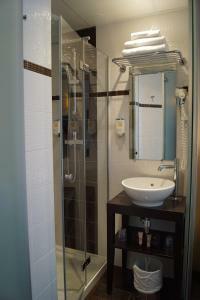 Guest rooms feature a contemporary private bathroom including a hairdryer. Free Wi-Fi is available throughout Hôtel de l'Exposition. A continental breakfast is served every morning in the breakfast room, featuring stone walls and a parquet floor. Guests can enjoy a cocktail in the bar at Hôtel de l'Exposition - Tour Eiffel after a day of sightseeing. Champ de Mars Park, leading to the Eiffel Tower, is a 15-minute walk away. Charles Michels Metro Station is 350 metres away, providing access to Saint Germain des Près. Please contact the hotel in advance if you plan to arrive after 23:00. Contact details can be found on the booking confirmation. Please note that a pre-authorisation will be made on your credit card upon arrival. Guests are required to show a photo identification and credit card upon check-in. Please note that all Special Requests are subject to availability and additional charges may apply. Please inform Hôtel de l'Exposition - Tour Eiffel in advance of your expected arrival time. You can use the Special Requests box when booking, or contact the property directly with the contact details provided in your confirmation. 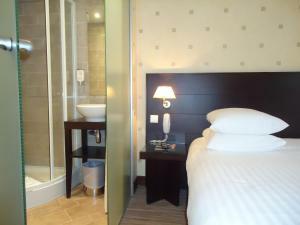 Providing free Wi-Fi access, this air-conditioned room features a flat-screen TV with cable and Canal+ channels, a safety deposit box and a bathroom with shower. Providing free Wi-Fi access, this more spacious room features air-conditioning, a flat-screen TV with cable and Canal+ channels, a safety deposit box and a bathroom with bathtub. It offers views of the surrounding rooftops and gardens. 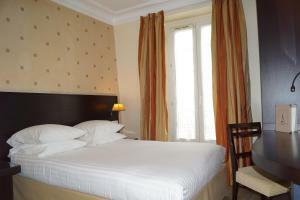 With a private entrance, this air-conditioned room includes 2 separate bedrooms. 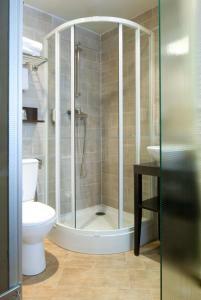 The first one features a bathroom with shower and overlooks a quiet street. 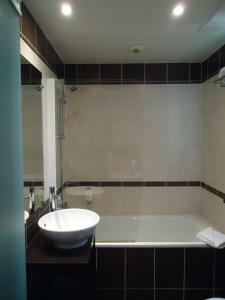 The second one has a bathroom with bathtub and offers views the surrounding rooftops and gardens. 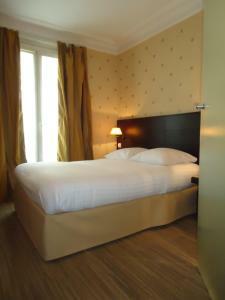 Only this room can accommodate 1 child under 3 years staying free of charge using existing bedding. 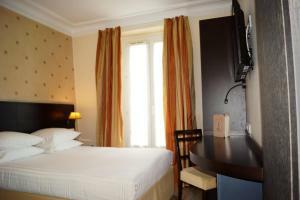 Rate: € 88.00 ... € 214.20; select dates below to get current rates. 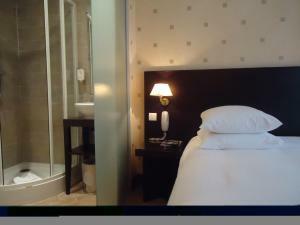 Composed of 2 separate rooms, each room features a flat-screen TV with cable and satellite channels. 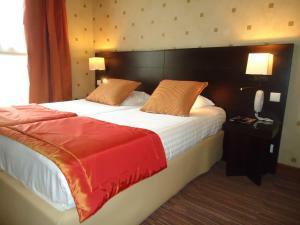 Rate: € 93.60 ... € 214.20; select dates below to get current rates.